It seemed only fitting after the storm of the year that we should seek out a weekend of sunshine and design, so we headed to Palm Springs for their annual Modernism celebration. Now, for anyone who has not been to this Palm Springs, it is a jewel in the desert just east of Los Angeles and has arguably one of the most important collections of mid-century modern architecture in the country, if not the world. For 10 days every February, they celebrate this remarkable place with parties, show houses, tours and a fantastic show at the convention center that features dealers from around the world. Heather Gillette (CEO) and Mark Cutler (Chief Designer) on the SDSA panel stage. We started on Saturday with a DesignerInc sponsored event for the Set Decorators Society of America (SDSA), called “SCREEN STYLE: Creating Narrative Spaces on Film & Television”. The panel was moderated by Cathy Whitlock and was a discussion with Halina Siwolop and Gene Serdena, who happens to be nominated for an Academy award this year for his work on Passengers. From there, it was on to the Christopher Kennedy Compound at Villa Golightly. If you ever wanted to see what some of the most talented designers would do with a modern client, this was the place to be. Colors, textures and crazy creativity abounded. The good news is that it’s open for another week, so you still have a chance to check out the work. 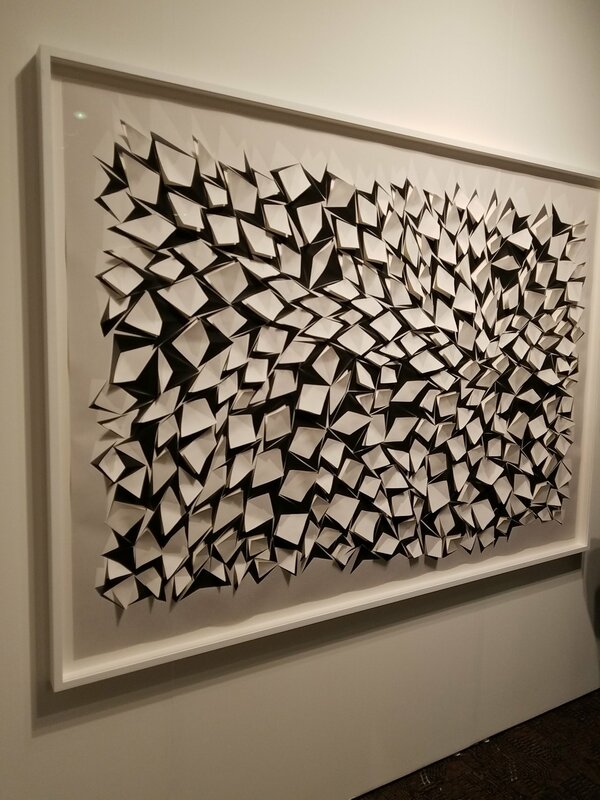 On Sunday, we spent wandering through both Art Palm Springs and the Modernism Fair, both held at the Convention Center featuring some of the most exciting dealers in mid-century Modern. I captured a few images to give you a sense of what was available. Not all mid-century modern furniture is brown. 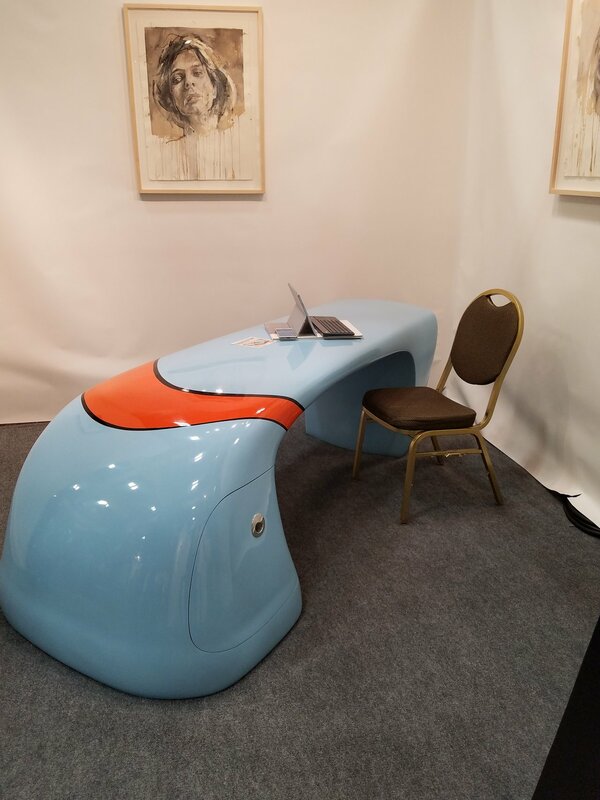 I loved this interesting use of colors for this desk. 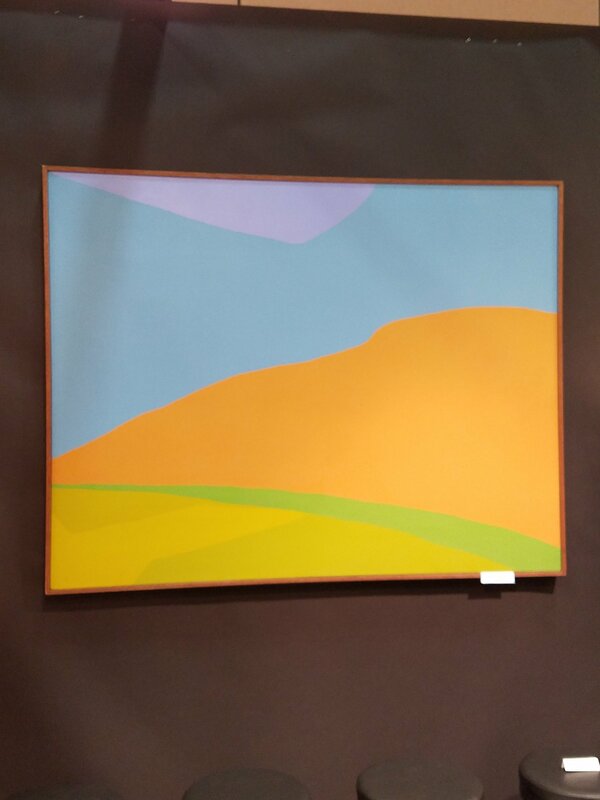 Hard-edge landscape painting by Jackie Carson at Art Palm Springs. Lastly, we capped off the weekend with a visit to the restored Lautner Hotel in Desert Hot Springs. Finally open after a painstaking renovation, this small five-room hotel is the pinnacle of mid-century modern. The event was the launch of SIA (Save Iconic Architecture), a group founded by two dear friends Ron Woodson and Jamie Rummerfield. Tired of watching Iconic architecture disappear around los Angeles, they have created a group to help protect and preserve our valuable architectural heritage. You will be hearing more about this group in the near future. Lastly, I cannot close without a word of thanks to our hosts for the weekend Snyder Diamond and Miele, who brought together a fantastic group of designers for a weekend that will not quickly be forgotten.